This Saturday's Classical Classic will feature several intriguing match-ups at Mount Pleasant's Conley Stadium. In the girls' 3,000-meter run, La Salle's Emily Kane and Westerly's Randi Burr are co-favorites with both runners capable of breaking the tape at the end. Burr clocked an all-time best of 9 minutes, 59.50 seconds to win the 3K at last year's Mount Pleasant Invitational. Kane nearly broke 10 minutes with her victory at the Schomp Invitational where she was timed in a PB of 10:02.40. She would later capture the state title in the event with a 10:07 effort. The long jump will feature three that have gone further than 17 feet with Woonsocket's Alissiana Folco (17-5), Pilgrim's Ciannie Foster (17-0) and West Warwick's Virsavia Goretoy (17-0). The boys' 200m could come down to the wire with Jehlani Galloway, the state 55m state titlist this past winter, facing Central Falls' Leonardo DaViega, a third-place finisher in the event at last year's State Meet. There's also the 800m with Classical's Connor Murphy, North Kingstown's Jack Perrault and Toll Gate's Nikolas Reygadas expected to duel it out. 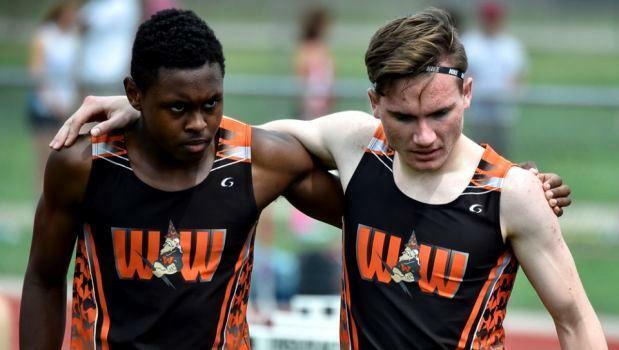 Click on the links below to find out who will be competing at the Classical Classic, the first state qualifier of the outdoor track and field season.